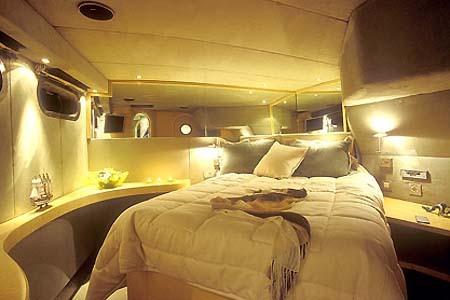 This Luxury Sailing Catamaran NOTOS was built and delivered in 2005. 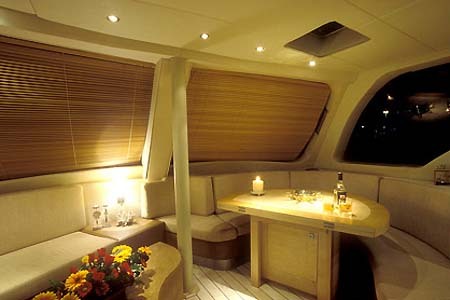 NOTOS is a spacious and well equipped yacht perfect for large groups. NOTOS has all the comforts required including electronic navigation, air-conditioning throughout, surround sound stereo, well equipped galley and spacious accommodations. 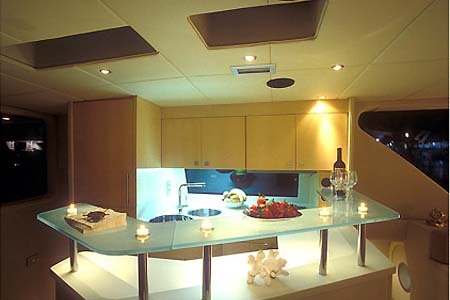 Sailing Catamarans with this accommodation capacity are rare to find and this is one which you simply can not go past. 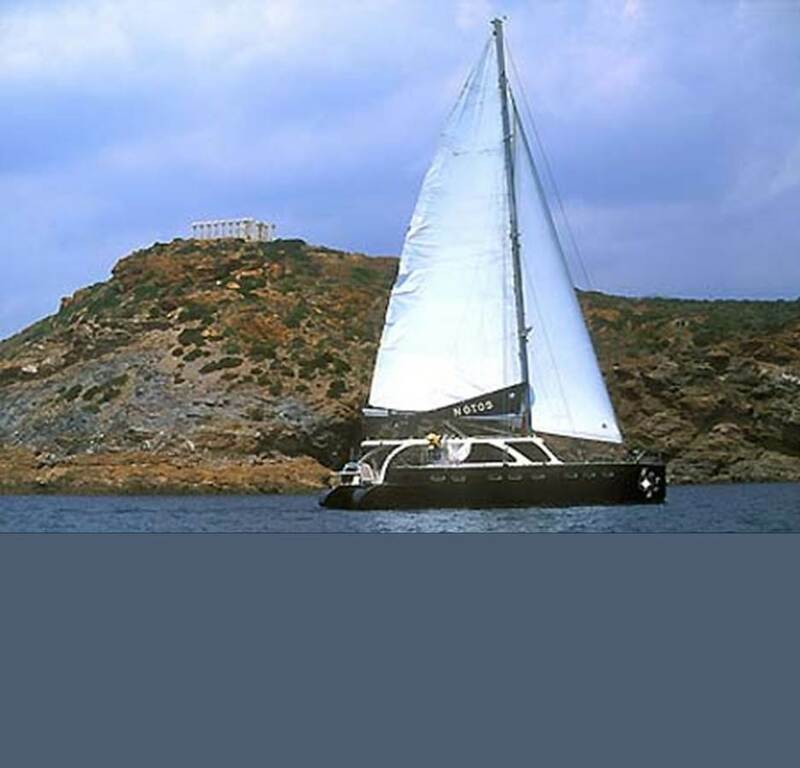 Step aboard and enjoy the wonders and beauty of the Greek Islands. 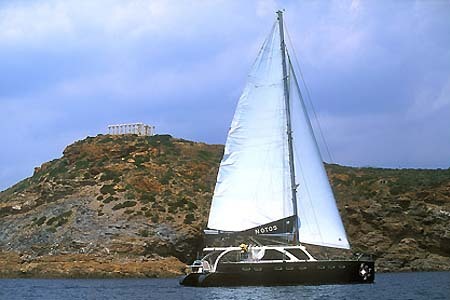 This Greece crewed charter sailing yacht can accommodate 8 guests in absolute style of up to 12 guests + crew in comfortable private accommodation. 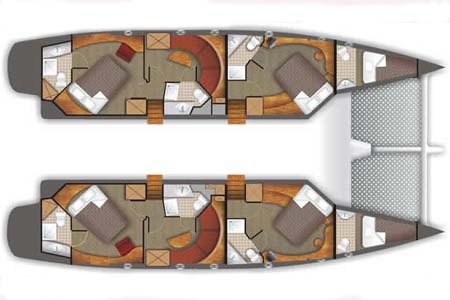 Located forward are two double cabins with ensuite bathrooms. The aft is a convertible configuration. 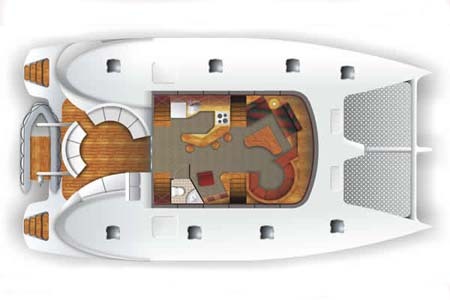 These can either be two very large aft cabins or converted into four normal double cabins. 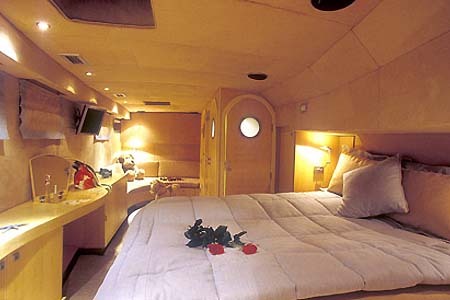 The skipper and hostess have separate cabins form the guest accommodation. 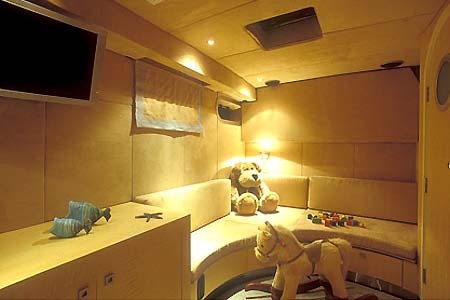 All cabins are air-conditioned and equipped with DVD/CD players. The salon is designed with a light and attractive decor with panels covered with alcadara & artificial leather. The salon dining table comfortably seats 6-12 guests. The salon is equipped with a surround sound stereo system. The galley is fully equipped with a stainless steel sink and Corian worktop, 220V Stove, Stainless steel microwave-grill crisp oven, large fridge and separate freezer and plenty of storage. 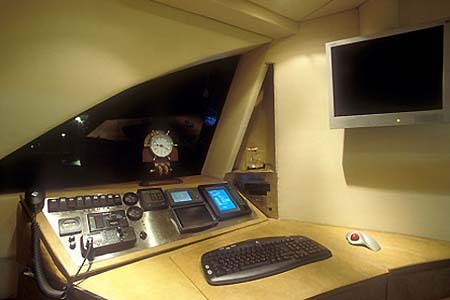 The internal navigation station is equipped with a chart table, instrument panel and an electronic navigation system. 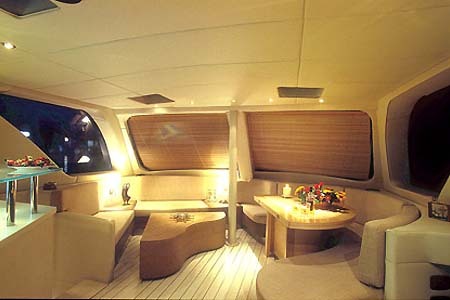 On deck, the teak cockpit is fitted with a rigid cockpit awning with integrated outside lighting, an outside table, 2 transoms with hand rails, a swimming platform and ladder and an outside hot and cold shower. The cockpit is also fitted with outside stereo speakers for guest enjoyment. 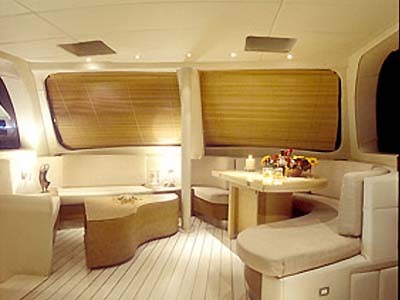 The entire yacht is air-conditioned with individual control switches in the salon and cabins. OTHER: Safety Equipment includes: Category A complete safety equipment for 16 persons, 2 x 8 man life raft, Tender 3,6 m RIB, with 35 hp engine (Out Board), Details are thought to be reliable but are not guaranteed.